Boomer having a wonderful time with his GrandPaw the week of Thanksgiving. Grandpaws are great, we think, we never had one. 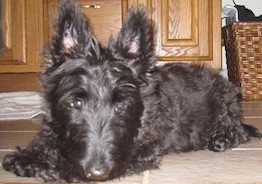 My Grandpaw had scotties, he sure does think i’m pretty.